If your family are anything like the Mini First Aid HQ families our little ones always seem to have runny noses, coughs and sneezes, especially during the winter months. 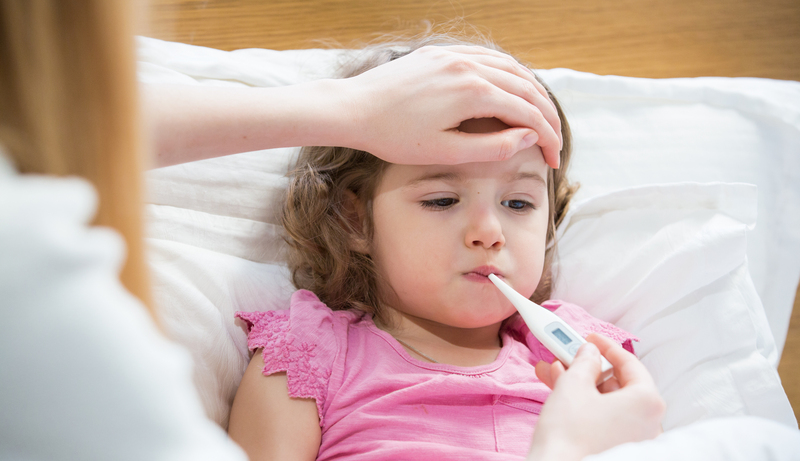 Did you know that toddlers will catch 10-12 colds per year? The vast majority resolve spontaneously after a week or so. Toddlers are building up their immune systems, so as they grow older the number of colds contracted tends to reduce. Avoiding the germs is the best way to help your little one keep well and teaching the importance of hygiene is essential. Be mindful of cleaning toys and disposing of dirty tissues. Wash hands regularly. It can help to buy a fun, child-friendly soap for your child to use before and after eating, and after going to the loo. Try and get them into a routine of washing their hands. And when you’re out and about, carry an antibacterial hand gel or wipes with you. Make sure you’ve got all of the essentials at home, such as infant paracetamol, tissues and a thermometer. A safely placed vaporiser in the room can help with blocked noses and ease breathing. A healthy and nutritious diet with all of the food groups and plenty of fruit and vegetables is really important. Keep little ones hydrated by aiming for five cups of water per day. The Department of Health advises that all children from the ages of six months to five years are given supplements containing vitamins A, C And D in the form of vitamin drops. This will be especially important for those with fussy eaters but even for those children who do eat a well-balanced diet. It is still difficult to get enough vitamin D from food alone. It’s difficult to avoid everyone coughing and sneezing, but it’s best to pass on meeting up with anyone who is unwell. Be extra cautious with young babies, do not allow anyone who is unwell to visit your baby or cuddle your baby. If your little one attends a child-care setting, check the setting’s policy on illness to see if your child has been ill, when they can return to nursery. Staying on top of your toddler’s immunisations is really important. It will make sure they can fight off any illnesses much more effectively. A good night’s sleep will help keep your little one fighting fit. Adequate rest and sleep is essential for maintaining a healthy immune system. You will be the first to notice if your little one is coming down with something. Trust your instinct and seek medical assistance if you are in any way concerned about your child.